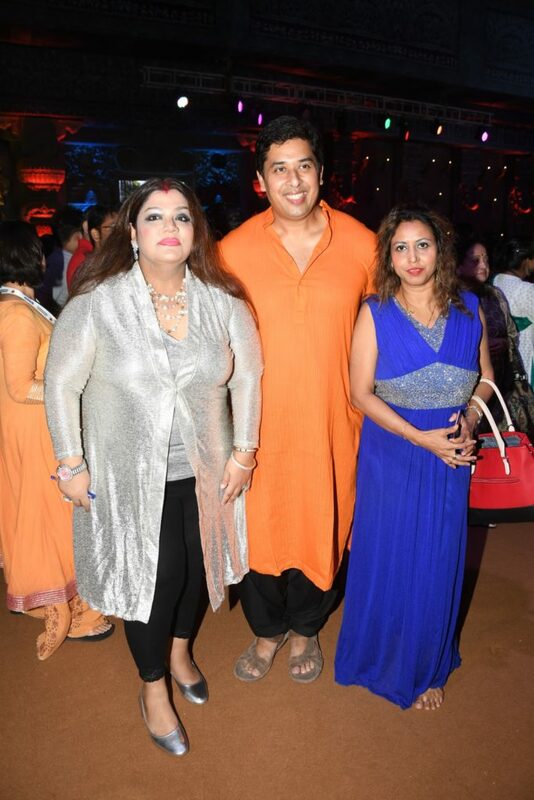 Known for its rituals, that are performed according to age-old customs, the oldest and the biggest Durga Puja in Mumbai-North Bombay Sarbojanin Durga Puja Samiti members showcased their fashionista side on the ramp judged by Sandip Soparrkar & Meghna Naidu. 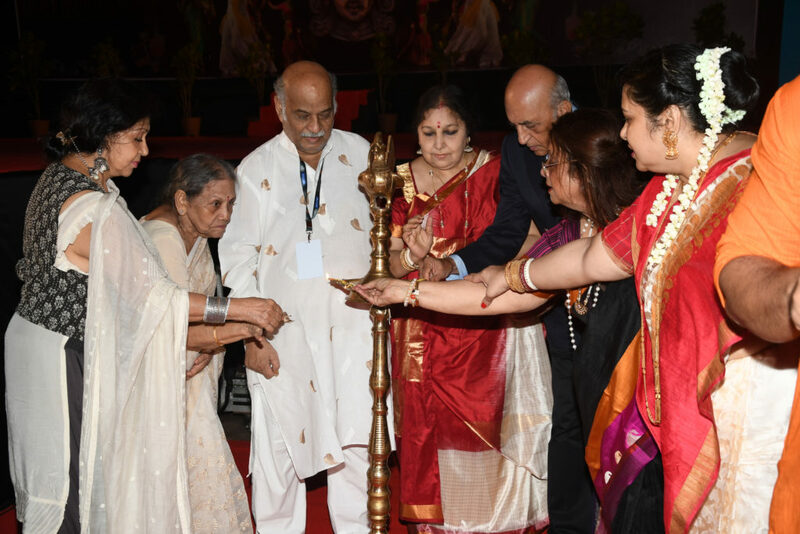 The event saw the presence of all the Krishna mukherjee, Raja Mukherjee, Samrat Mukherjee, Paromita Sarkar, Mala, Shrabani Mukherjee, Rena Lahiri, Debu Mukherjee and other members. This year North Bombay Sarbojanin Durga Puja Samiti 2017 one of the oldest & biggest durga puja founded by Padmashri Sasadhar Mukerji and Shrimati. Satirani Mukerji is celebrating its 70th year. The tradition continuing from generation to generation of making this Puja a “GharuaPuja” (family puja) where all are welcome. 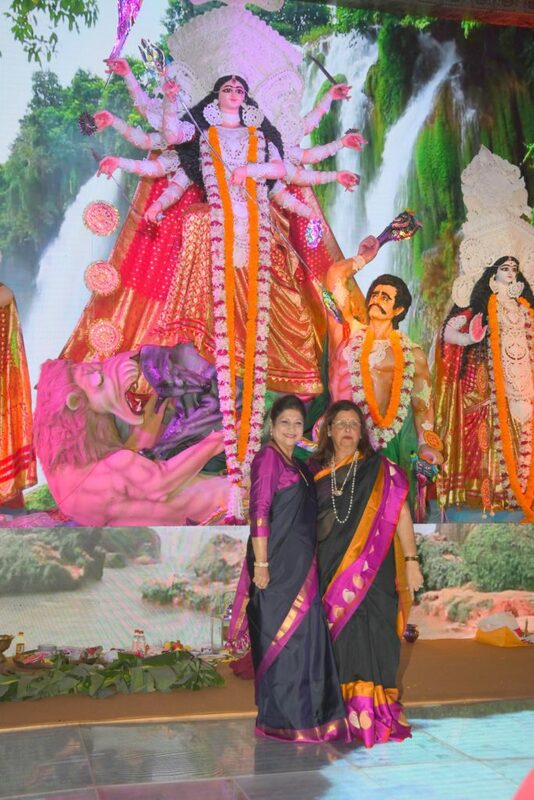 The Idol of Maa Durga is being sculpted by Shri. Amit Pal and his team of artisans from Kolkata who have been tirelessly working hard from last two months. This year our idol is 17 ft tall. The materials for making the murti have. This year our idol is 17 ft tall. The materials for making the murti have especially been brought from Kolkata- straw(khor), wood, bamboo, nails, shulki(rope made from jute), Ganga maati (clay from the banks of river Ganges), bele maati(sands from the river Ganges), cloth, particles of chalk for the white colour mixed with other colours, sarees, jewellery, false hair and varnish is used. Previous articleOf food, fun and Master Chef Sanjeev Kapoor!